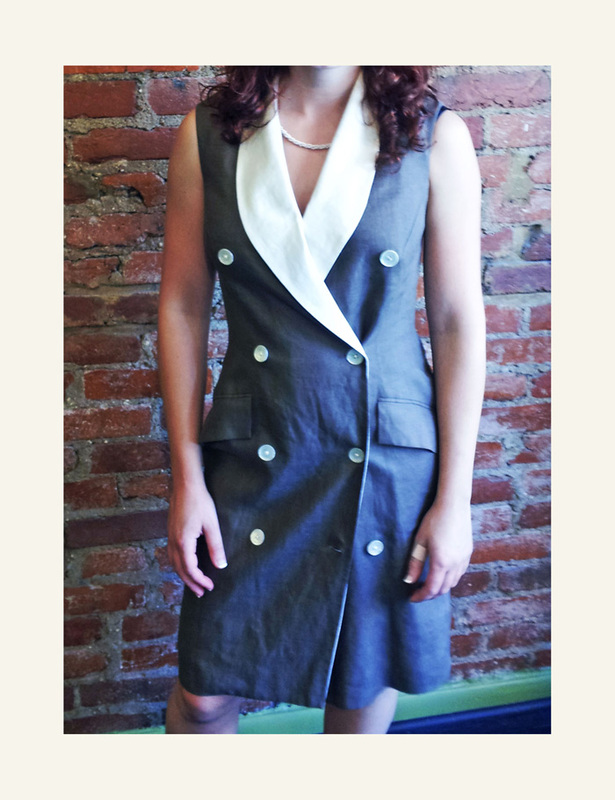 Stephanie literally found this dress in a free pile in her building. To most people they might think it’s a lost cause, but we both knew better than that. 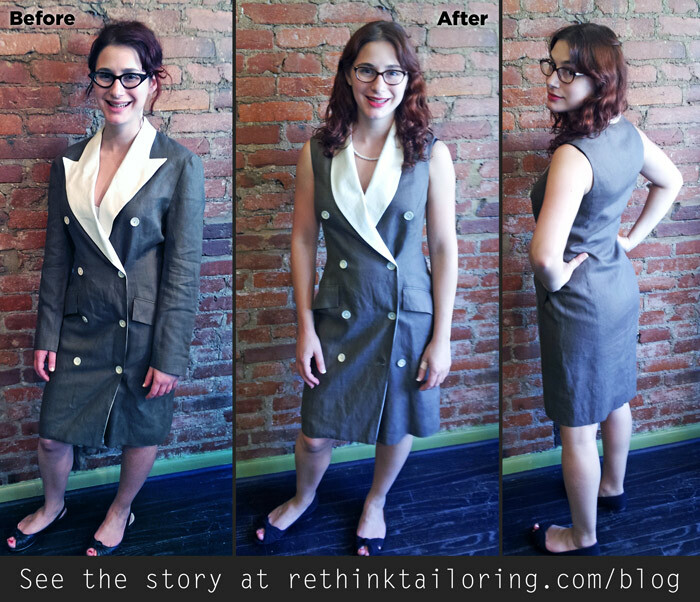 With 80’s pieces, you just need to remove the shoulder pads, and tailor it until it resembles closer to the 1940s. See what we did here.